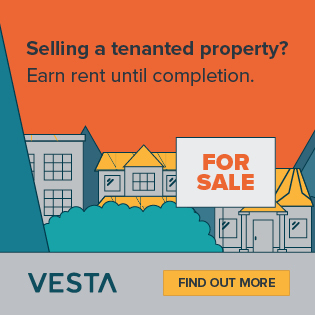 It is no secret that higher yielding properties can come with potential issues and additional risks, as they are typically in areas of low value and may therefore only have demand from tenants of a higher risk profile. While our software identifies potential deals, its highly advised that intense due diligence is undertaken on the property and the local area, as this, as with any deal, will mitigate risk going forwards. It is our belief that our software will revolutionise the way landlords source high yielding properties as it signposts those properties and makes them easy to identify from the many thousands of other properties in the market place. 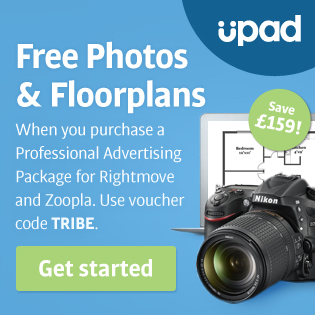 We have such confidence in our data and product that we are inviting Property Tribes members to a free trial to test it out. We also value all feedback as, with any software, the algorithm needs constant fine tuning and up-dating. Following the free trial, users will then be able to move to a subscription service for £15 per month. High yielding properties have always been the lifeblood of any portfolio, and now, with the current challenging market conditions, it is even more vital that landlords focus firmly on investment fundamentals such as yield. We love discussing and talking about yield and will be joining these discussions. Thank you for your time in reading this and please do not hesitate to ask if you have any questions. If you visit Property Tribes on your mobile, you may have seen our advertisement pop up for our new software that helps landlords identify properties with above-average yields and BMV/properties predicted to rise in value in the near future. 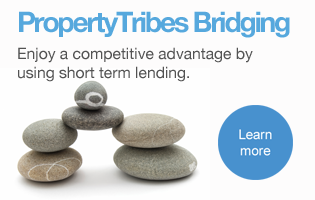 We have been long time readers of Property Tribes and have chosen it as our advertising partner, but we also want to engage with landlords via the discussions, hence we wanted to write a short post to introduce ourselves before we start a fuller engagement with the community. One and Only Pro is the brainchild of property investors, the CEO and Co-Founder Henri Sant Cassia himself has always recognised the importance of net cash flow month on month. The founder built his own portfolio by going on a hunt to find below market value properties which he would refinance 6 months later at their true value moving afterwards to larger development projects. He now settles for 8 to 10% buying in only prime areas in order to keep his portfolio size manageable. 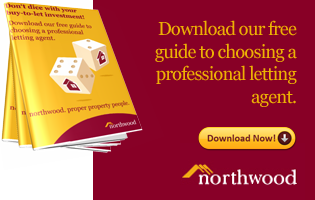 While most landlords will settle for a 5 to 8% yield from single occupancy BTL, newbies have the advantage and can target for at least double typical yields… and yes, they do exist! Henri set about creating proprietary software that has a custom-built algorithm to find below market value properties and quickly identify high yielding properties. The rental data has been manually overviewed by a data analyst looking at various sources including the major property portals listed rents alongside our own mathematical analysis. 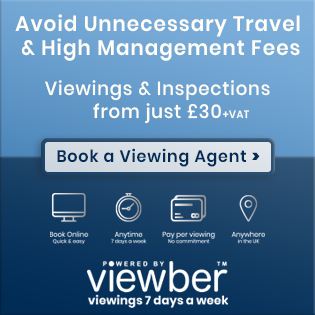 Each rent is then again reviewed manually within 90 days to ensure it is up to date. The capital appreciation predictor required us to create a new database of historic sales prices extending attributes to include property era (Grade II listed, council, 1900s etc.) property size, down to type of windows. Each individual postal outcode (such as GU2, KT22) required 8-12 hours of manual data entry. The algorithm accounts for macro level events such as rate rises, mortgage lending appetite and local intelligence besides comparables for it to then predict which properties are most likely to rise in value. It's always great to welcome a new commercial partner to the site, and, in the case of OneAndOnlyPro, its a product that should really assist in guiding landlords towards profitable property deals, which is vital more now than ever thanks to the challenging market conditiosn. The huge amounts of data that is crunched by the software and humans takes a lot of the legwork out of identifying deals. This software has been several years in the development and has a number of other extra features that I know PT landlords will really like. Those landlords taking advantage of the free trial, please do report back here how you find the software, as I know OneandOnlyPro want to work closely with landlords to provide the data and metrics they need and continually improve the user interface based on feedback from early adopters. I'm a small time landlord but always find it hard to find the right deals. It just takes so much time. I visited the portal today and it really does have a lot of good deals, or it show cases a lot of good deals. I didn't think you could still buy investment property so cheap. It allows me to specify my area and my price range and shows the highest yielding properties. It saves me so much time and hassle. This is why I have only been a part-time landlord, this i'm sure will help me expand my portfolio a lot quicker now. Will keep you posted on any other feedback. So far it's great! One & Only Pro has been set up to make it easier to find investment property by using mathematical analysis and a scoring system. The algorithm shows the properties most likely to increase in value and states accurate potential yields. Henri Sant-Cassia, chief executive of One & Only Pro, said: "Most property investors buy based on a combination of experience, knowledge of the area and gut feeling. But we knew there was a way we could build an intelligent property portal specifically for property investors. "The system accounts for both macro level events like rate rises and local intelligence like comparables to accurately predict which properties are most likely to rise in value." One & Only Pro only lists properties considered viable for investment, so shared ownership, retirement and other unsuitable property types are stripped out. It has identified 172 property hotspots and all of the investment properties are based around these areas and given a score from one to 10. The higher the score, the more likely it is to rise in price. This software doesn't appear to working properly. I am interested in 4+ bed properties in Barry, South Glamorgan, below £150k. I know from Zoopla and Rightmove that 3 have been listed in the last week. None of these 3 properties appear on the same search in Oneandonlypro, although properties listed more than a week ago are shown. The likelihood is that those estate agents' properties are not currently listed, however One&Only have properties that are not listed on Zoopla and Rightmove. We are adding estate agents weekly. Our aim would be to have all estate agents from Zoopla, Rightmove and OnTheMarket eventually on One&Only because that would be the ideal platform for investors like yourself and us. There are now a lot of quality listings that come on the UK property market which are not even listed with Zoopla and Rightmove we would like full market coverage. Never made sense to me these "portal wars" for ease of the purchaser everything should be on one website. You seem to be quite thorough with your search like I would be. My current strategy would be to visit One&Only first to quickly see the highest yielding or if there are any potential BMV properties available so that they are not missed. Book viewings on those with estate agent first and then go on to Rightmove to ensure no property is missed out (as that has more listed currently than Zoopla) . The One&Only system picks out the best deals and I would rather view and have my offers out on these first. Enjoy reading your posts on here. Are you looking to do a HMO or just get a good discount on a deal? All positive criticism is welcome we want to constantly refine making it the ideal platform for members of Property Tribes. ‘May be able to move to a subscription model?’ If you genuinely want feedback please don’t play games. If you are just interested in acquiring business - please don’t play games. Thank you for expressing your thoughts. The majority of the website can be viewed. It is only the Capital Appreciation Score that cannot be seen. I understand your feelings as I have personally come across companies that are ingenious and make it difficult for you to cancel a membership. Cancelling a membership on our site can be done in seconds with a couple of clicks. Apologies but please let me explain... we need to verify each user. 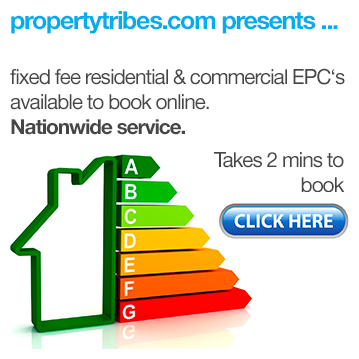 I have seen sourcing agents charge £1000's for property deals which our system would score 2/10. We have over 2,000 deals which have been scored 10/10. So that we can monitor any potential membership abuse we need this level of verification. Emails are not a strong enough level of verification. "Following the free trial, users will then be able to move to a subscription service for £15 per month." We sincerely hope to make finding good property deals easy for genuine people out there. In the past week alone there have been 2 examples were people have lost a lot of money to property companies. I entered my credit card details to sign up for trial but still cannot access properties that says Premium Members. Thank you for bringing this to our attention. We will look into this for you, in the mean time can you try signing out and back in again to see if this fixes the issue. If you have any more queries or issues please email us on support@oneandonlypro.com and possibly arrange a call if needs be. A new Artificial Intelligence (AI) powered website designed to allow BTL landlords and investors to search for property investment deals by area and then compare them using a range of innovative criteria has been launched by One & Only Pro. The new online platform is dedicated solely to investment, with algorithms and expert analysis providing users with practical information such as expected yields and capital appreciation potential. Located in 172 carefully-identified areas, perceived as buy-to-let hotspots, there are more than 100,000 properties listed on One & Only Pro, many of which the investment firm claims are priced at ‘below market value’ or have yields of more than 10%. One & Only Pro says that its website combines expert knowledge with technology to help investors identify the ‘best’ opportunities quickly, eliminating the need to spend hours comparing listings and manually calculating returns as One & Only Pro calculates everything, providing insightful and what should be accurate data in seconds, thanks to a combination of AI, unique algorithms and expert knowledge. The platform is free to use but for users to get access to the most valuable data, they have to sign up and pay a small monthly subscription fee. 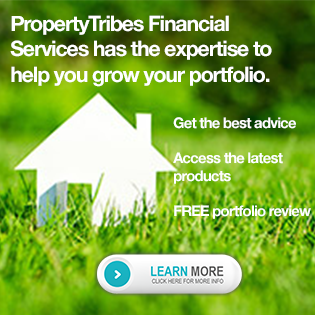 ​Transparency notice: OneAndOnlyPro are a commercial partner of Property Tribes.